When it comes to enhancing, repairing or simply maintaining your Volvo, visit Seattle German Auto Center. Our factory-trained, ASE Certified Volvo technicians understand your Volvo better than anyone else. Our Volvo service & repair department offers the best in automotive service. We are proud of our state-of-the-art facility, which features the most current Volvo diagnostic and repair equipment available. We Offer Factory Trained Service for Volvo Vehicles Backed with Genuine Volvo Parts and Our Guarantee. Exhaust System, Check for damage and leaks. Lighting and Headlights, Check adjustment. Check Horn. Manual Transmission/Transaxle and final drive: Check for leaks. Steering and Suspension, Check dust seals, ball joints, bushings, links and tie rods. Tires, Check for wear and damage. Check tire pressure. Wiper and Washer Systems, including Headlight washer - Check adjustment and function; add fluid if necessary. Air Cleaner and clean Housing. On board system, check fault memory. Road Test: Check braking, kick down, steering, electrical, heating and ventilation systems, air conditioning, (ASL) Automatic Shift Lock and power accessories. Inspect Automatic Transmission/Transaxle and final drive: Check for leaks. Battery, Check and replace if necessary. Check Body, Frame and Underbody for damage. Traction Control, Inspect and measure Brakes and fluid level. Differential Assembly, Check for leaks. When it comes to enhancing, repairing or simply maintaining your VW, visit Seattle German Auto Center. Our factory-trained, ASE Certified technicians understand your car better than anyone else. Our service & repair department offers the best in automotive service. We are proud of our state-of-the-art facility, which features the most current diagnostic and repair equipment available. We Offer Factory Trained Service for German Vehicles Backed with Genuine Parts and Our Guarantee. * The Seattle German Auto Center provides experienced service and repair for VW cars but we are not affiliated with Volkswagen the corporation or manufacturer. Road test: Check kickdown, braking, steering, heating, ventilation, air-conditioning, power accessories and electrical systems. After road test: check for leaks, power steering fluid, exhaust system for damage/leaks. Check engine and engine compartment from above and below for leaks and damage. Lighting: Exterior lights; front and rear. Rotate Wheels / Tires, Check condition, tread depth and pressure, including spare: adjust if necessary. Automatic Transmission/Transaxle, Check for leaks. Manual Transmission/Transaxle, Check for leaks and level; add if necessary. Axle Shaft Assembly, Check boots. Brakes and Traction Control for leaks and damage, check thickness of brake pads and check brake fluid level. Cooling System level, add if necessary. Engine OBD Data Link Connector and DTC memory; purge if necessary. Shift Interlock, A/T operation including park/neutral position switch. Steering and Suspension, Front axle - check ball joints, tie rods and control arms. When it comes to enhancing, repairing or simply maintaining your Sprinter, visit Seattle German Auto Center. Our factory-trained, ASE Certified Sprinter technicians understand your Sprinter better than anyone else. Our Sprinter service & repair department offers the best in automotive service. We are proud of our state-of-the-art facility, which features the most current Sprinter diagnostic and repair equipment available. 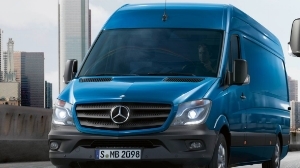 We Offer Factory Trained Service for Sprinter Vehicles Backed with Genuine Sprinter Parts and Our Guarantee. When it comes to enhancing, repairing or simply maintaining your Rolls Royce, visit Seattle German Auto Center. Our factory-trained, ASE Certified Rolls Royce technicians understand your Rolls Royce better than anyone else. Our Rolls Royce service & repair department offers the best in automotive service. We are proud of our state-of-the-art facility, which features the most current Rolls Royce diagnostic and repair equipment available. We Offer Factory Trained Service for Rolls Royce Vehicles Backed with Genuine Rolls Royce Parts and Our Guarantee. Inspect Automatic Transmission/Transaxle : Check for leaks. Seattle German Auto Center is a full service independent Porsche maintenance and repair facility located in Seattle. Staffed not only by Porsche technicians but also Porsche enthusiasts. German Auto Center can offer a comprehensive level of Porsche knowledge and expertise at competitive rates. We understand that your Porsche is very special and an advanced example of automotive engineering. For that reason we insist in only the best available replacement Porsche parts and accessories. Seattle German Auto Center is a one stop facility for any Porsche maintenance and repair work you might require for your vehicle. We are equipped with the latest Porsche diagnostic equipment and special tools required for any job, small or large. We Offer Factory Trained Service for Porsche Vehicles Backed with Genuine Porsche Parts and Our Guarantee. Firewall and cabrio section: Check body drains for debris. Vehicle lighting, Check Headlight adjustment. Check horn. Check vehicle underside and engine compartment for any fluid leaks. Inspect for damage; check underside panels for completeness, installation and damage. Wiper/Washer Systems, Windscreen wiper/washer system, Headlight washer: check operation, fluid level and nozzle settings. Diagnose/Test Data Link Connector,Diagnose system: read out fault memory. Inspect Air Filter Element condition, Replace if necessary. Battery: Check condition and electrolyte level. Traction Control system, Brake hoses and lines for damage, routing and corrosion. Measure Brakes. Cooling System: check condition; Radiators and air inlets: visual inspection for external contamination and blockage. Check antifreeze level and protection. Doors, Hood, Trunk, door locks, lid locks, safety hook and internal trunk release mechanism (trunk entrapment) of front lid; Check to ensure they are adjusted and function properly. Drive/Propeller Shaft: visual inspection of the sleeves/dust boots for leaks and signs of damage, also check center bearing for damage. We Offer Factory Trained Service for Maserati Vehicles Backed with Genuine Maserati Parts and Our Guarantee. When it comes to enhancing, repairing or simply maintaining your Maserati, visit Seattle German Auto Center. Our factory-trained, ASE Certified Maserati technicians understand your Maserati better than anyone else. Our Maserati service & repair department offers the best in automotive service. We are proud of our state-of-the-art facility, which features the most current Maserati diagnostic and repair equipment available. So... Your Ultimate Driving Machine is in need of service. It deserves the Ultimate Servicing Facility to keep your vehicle driving as new and to help you maximize the pleasure of your super engineered driving investment. The specialists at Seattle German Auto Center are BMW and MINI trained and ASE certified technicians. We understand your MINI and know how to keep it in top running condition. We Offer Factory Trained Service for BMW Vehicles Backed with Genuine BMW Parts and Our Guarantee. Perform diagnosis quick test. Check "Check control" messages. We've made it our mission to provide the highest level of service available for Mercedes-Benz vehicles. We aim to meet and exceed Mercedes factory standards for maintenance and repair procedures. Our uncompromising approach employs only the highest quality original equipment Mercedes parts, lubricants, operating fluids and shop supplies. Our extensive collection of Mercedes-Benz documentation, computerized diagnostic equipment, special tools and factory trained technicians provides us with the ability to maintain and repair your Mercedes-Benz vehicle in the manner the engineers intended. We Offer Factory Trained Service for Mercedes Benz Backed with Genuine Mercedes Parts and Our Guarantee. Brake Fluid, Brakes and Traction Control. Engine cooling system, antifreeze and corrosion protection. Hood catch, safety catch and hinges on engine hood for proper operation. Lighting and Horns, high beam flasher, hazard warning flashers, turn signals, warning/indicator lamps, illumination, interior/exterior lighting, front/rear lamps. Check trunk/rear cargo area lighting, if applicable. Power steering system and fluid. Tires for damage and splits, measure tread depth. Correct tire inflation pressure, including spare. Washer Fluid, Wiper Blade, Windshield wipers/washer system. Headlamp cleaning system and rear window wiper/washer system if applicable. When it comes to enhancing, repairing or simply maintaining your Land Rover, visit Seattle German Auto Center. Our factory-trained, ASE Certified Land Rover technicians understand your Land Rover better than anyone else. Our Land Rover service & repair department offers the best in automotive service. We are proud of our state-of-the-art facility, which features the most current Land Rover diagnostic and repair equipment available. We Offer Factory Trained Service for Land Rover Vehicles Backed with Genuine Land Rover Parts and Our Guarantee. When it comes to enhancing, repairing or simply maintaining your Lamborghini, visit Seattle German Auto Center. Our factory-trained, ASE Certified Lamborghini technicians understand your Lamborghini better than anyone else. Our Lamborghini service & repair department offers the best in automotive service. We are proud of our state-of-the-art facility, which features the most current Lamborghini diagnostic and repair equipment available. We Offer Factory Trained Service for Lamborghini Vehicles Backed with Genuine Lamborghini Parts and Our Guarantee. We are proud of our state-of-the-art facility, which features the most current Jaguar diagnostic and repair equipment available. When it comes to enhancing, repairing or simply maintaining your Jaguar, visit Seattle German Auto Center. Our factory-trained, ASE Certified Jaguar technicians understand your Jaguar better than anyone else. Our Jaguar service & repair department offers the best in automotive service. We Offer Factory Trained Service for Jaguar Vehicles Backed with Genuine Jaguar Parts and Our Guarantee. 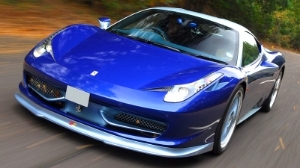 When it comes to enhancing, repairing or simply maintaining your Ferrari, visit Seattle German Auto Center. Our factory-trained, ASE Certified Ferrari technicians understand your Ferrari better than anyone else. Our Ferrari service & repair department offers the best in automotive service. We are proud of our state-of-the-art facility, which features the most current Ferrari diagnostic and repair equipment available. We Offer Factory Trained Service for Ferrari Vehicles Backed with Genuine Ferrari Parts and Our Guarantee. When it comes to enhancing, repairing or simply maintaining your Bentley, visit Seattle German Auto Center. Our factory-trained, ASE Certified Bentley technicians understand your Bentley better than anyone else. Our Bentley service & repair department offers the best in automotive service. We are proud of our state-of-the-art facility, which features the most current Bentley diagnostic and repair equipment available. We Offer Factory Trained Service for Bentley Vehicles Backed with Genuine Bentley Parts and Our Guarantee. The specialists at Seattle German Auto Center are BMW and MINI trained and ASE certified technicians. We understand your BMW and know how to keep it in top running condition. Whether you drive a BMW 3 Series, such as the popular 325i and 330i; or the sporty BMW 5 Series, the 525i and 530i; or even the luxurios BMW 7 Series, the 740i, 745i or 750i Seattle German Auto Center is the place to keep your BMW serviced. We are experts in the BMW X3 and X5 sports utility vehicles too. 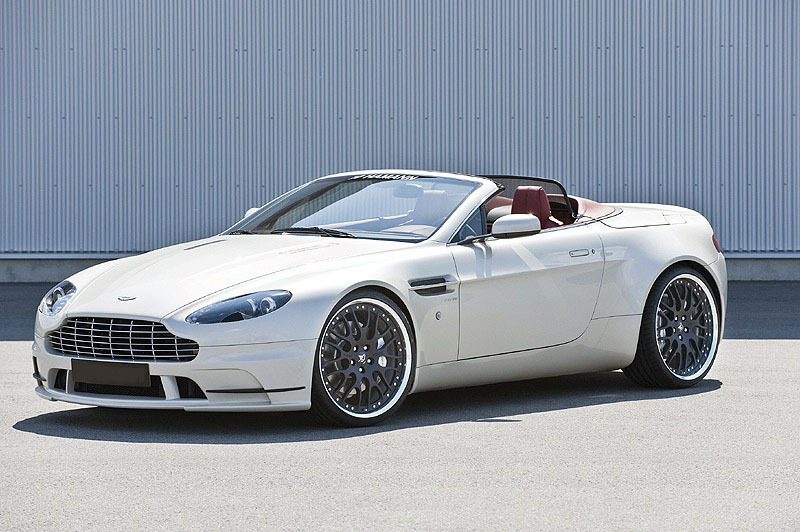 When it comes to enhancing, repairing or simply maintaining your Aston-Martin, visit Seattle German Auto Center. Our factory-trained, ASE Certified Aston-Martin technicians understand your Aston-Martin better than anyone else. Our Aston-Martin service & repair department offers the best in automotive service. We are proud of our state-of-the-art facility, which features the most current Aston-Martin diagnostic and repair equipment available. We Offer Factory Trained Service for Aston-Martin Vehicles Backed with Genuine Aston-Martin Parts and Our Guarantee. When it comes to enhancing, repairing or simply maintaining your Audi, visit Seattle German Auto Center. Our factory-trained, ASE Certified technicians understand your car better than anyone else. 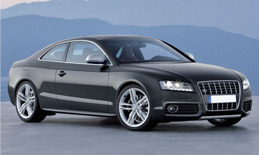 Our service & repair department offers the best in Audi automotive repair service. The Seattle German Auto Center provides experienced service and repair for Audi cars but we are not affiliated with Audi the corporation or manufacturer.